Not only can driving recklessly or under the influence lead to serious legal consequences, but it puts everyone else on the road at risk. 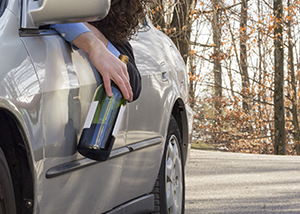 Any reckless driving, or driving under the influence, that causes injury or death can lead to vehicular assault or vehicular homicide charges. These felony convictions can see decades of jail time and a multitude of other consequences, not to mention the impact on the victim. Vehicular homicide is a class A felony punishable under chapter 20RCW, except that, for a conviction under subsection (1)(a) of this section, an additional two years shall be added to the sentence for each prior offense as defined in RCW 46.61.5055. Vehicular assault is a class B felony punishable under chapter 20RCW. As used in this section, “substantial bodily harm” has the same meaning as in RCW 04.110. If you or a loved one has been involved in a car accident or wrongful death, contact the experienced and knowledgeable attorneys at Parke Gordon Law Firm to handle your case. The lawyers at Parke Gordon Law Firm in Spokane believe every client deserves fair representation, not just big insurance companies with deep pockets. Call our Spokane law office today for a free consultation at (509) 482-7274.